The 2018 SATB2-associated syndrome International Family Conference will be held on June 27 - 29 in Little Rock, Arkansas (USA). Registration closes for families on March 31st. "The 2017 SATB2 conference was not only informative but an emotional journey for me and my family. We were able to learn more about what to expect in the future for our SATB2 child and medically how to manage some of his current and potential issues. We created relationships with the other families walking our same path and realized we are not alone. Overall we feel like the conference was a huge success for us." 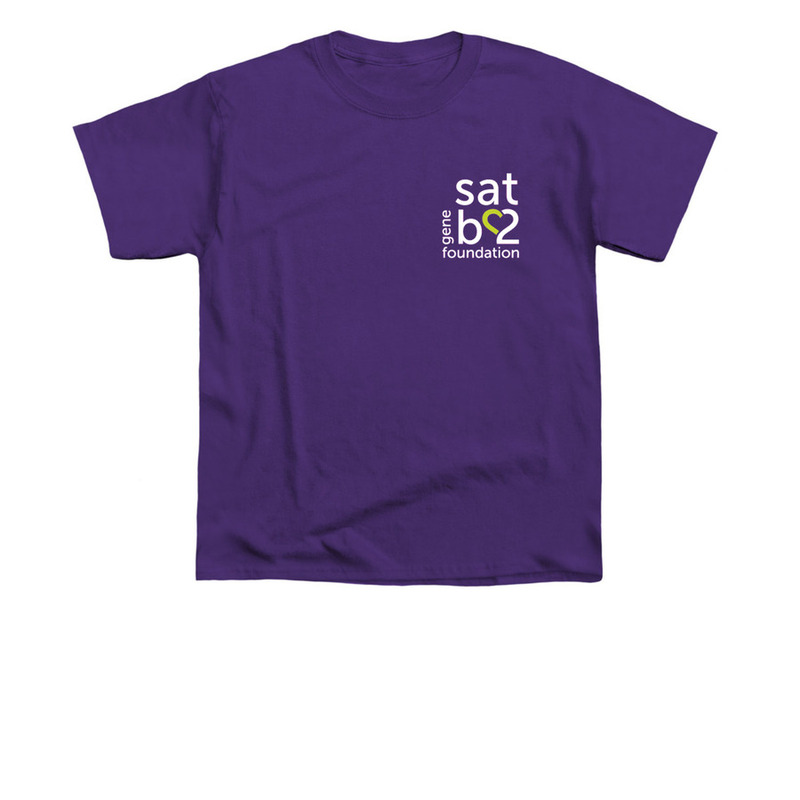 get your own satb2 gene foundation shirt today! Help support the launch of the SATB2 Gene Foundation by purchasing your very own shirt! Proceeds will help support programming for the SATB2 Gene Foundation and help to raise awareness for SATB2-associated syndrome. Shirts are available in Youth and Adult Sizes. Orders end on April 5 - don't delay! Our SATB2 journey is probably no different to many other families. The only main difference to most being that we have two handsome boys with SATB2-associated syndrome instead of one! We have endured MRIs, EEGs, blood tests, and genetic testing all followed by a succession of diagnoses. There were the hospital visits, poking, prodding and all the questions but never any real answers. Was their difficulties as a result of an X linked chromosome fault? Was it landau Kleffner Syndrome or the Cerebellar Vermis Hyperplasia? What? Would it affect my other two sons when they started their own families? I read Emily Perl Kingsley’s poem “Welcome to Holland” over and over, howling into my cold coffee. As you do. On top of all that we had to get on with being parents to four lively boys and all the extras that come with disability. Planning strategies to stop the drooling, improve hand eye coordination, communicate, potty train an eight year old. We had meetings to fight for support at school, change schools, IEP meetings, meetings with social workers, for budgets, transport, specialist, dentists, therapists, meetings, meetings, MEETINGS! Early on we decided I should give up work and become a stay at home mom or we were never going to fit all of it in! These were our wild years. Eventually we left all that behind us. We came to the end of the search for a diagnosis. That space on all the forms that asks “What is your child’s diagnosis?” was filled with “Learning Difficulties” or “Global Development Delay”. 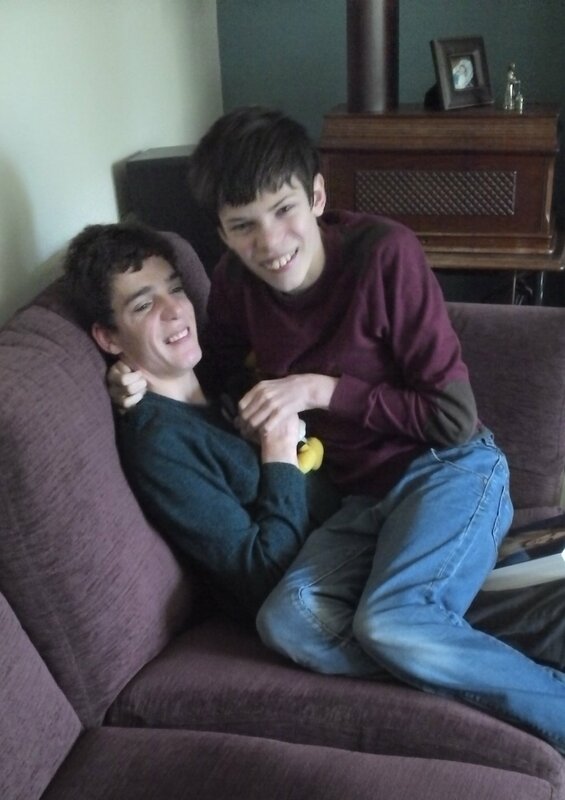 The boys’ blood samples went off to Cambridge to the Genetics of Learning Disability study with the promise that nothing may come of it and that was it. We got on with our lives. And what a life it’s been! We have seen major teenage meltdowns, broken bones and black eyes. Anything that can be used as a missile or dangerous weapon was hidden away or just not allowed. Some things have slipped through the net and we have a lovely big dent in the oven door to remind us of our sloppiness. Life is tough and often we feel exhausted and overwhelmed. Then we get a lovely smile, a tight cuddle. One of them manages to open a juice bottle unaided or someone writes his name for the first time at age ten. Someone learns how to operate the stereo and dances wildly to the music that blares out of the speaker. All the small simple things in life are a huge joy and reward to us. Daniel and Joseph are hard work but we wouldn’t change them for anything. We would be a different kind of family with different priorities in life. They made us who we are and we are grateful. Exhausted, but grateful. One day when the boys were 12 and 16 we got a call from a very excited geneticist to tell us that our boys had a mutation of the SATB2 Gene and how rare it was and how rare for sibling to have it and did we know that the main man who first discovered this gene was his colleague? It was so rare for siblings to have this mutation, could they write about it, please? We were to be written up! Woo hoo! Progress at last! We’d made it! Then nothing much happened. For another 5 years we just continued as before. Until I came across Dr. Yuri Zarate and the SATB2 website. We contacted Dr. Zarate and joined his study and in return he pointed us in the direction of the wonderful SAS families on Facebook! Not wanting to sound dramatic but it’s like being reborn! Ok that is a wee bit dramatic but hey! Finally we are not alone! Finally we can see the faces of our boys in all of the children who smile out from the SATB2 Facebook page. There are people out there who “get it”. And it’s a great feeling. We are so glad we found them. Now the real journey begins and it’s going to be a cracker! Having a special needs child brings the need for additional resources and support. We are starting to compile a list of various resources to help support your family. If you have anything to add to the list, please share and we can add for the next edition!